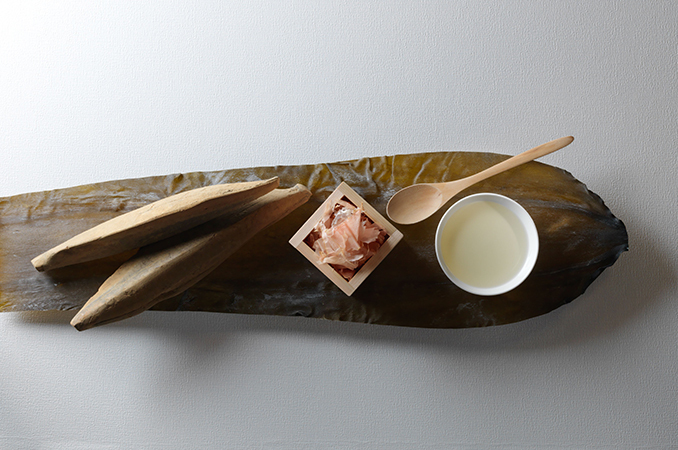 Japanese cuisine of a new era from the northern land. 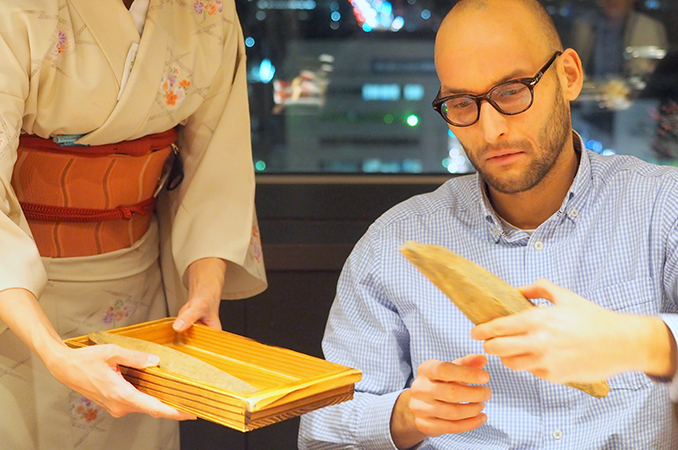 A variety of dishes with rich sensibility connecting Hokkaido and the world are served in a sophisticated space. 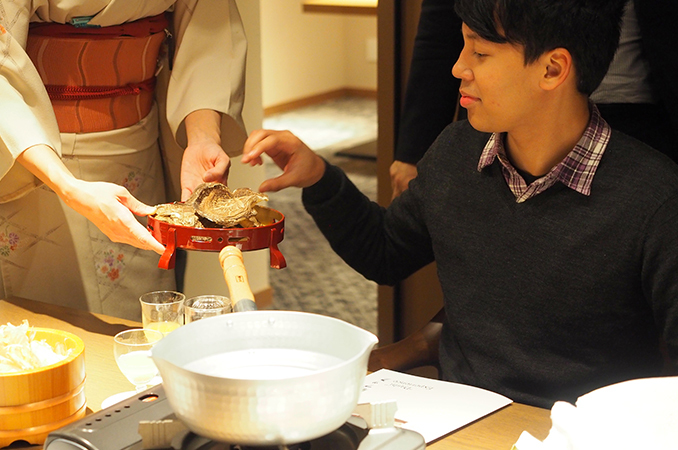 This event will allow you to experience with all 5 senses the preparation of dashi, a staple of the Japanese diet. 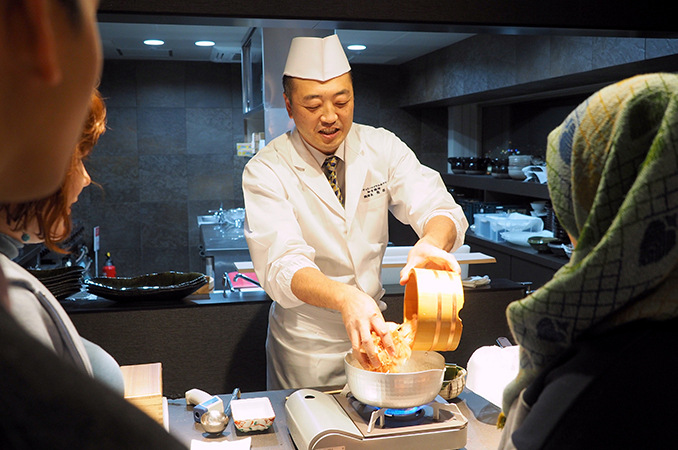 The hands-on Authentic Dashi Preparation Workshop will provide you an enjoyable way to learn about the various styles and characteristics of dashi, the foundation of Japanese cooking. 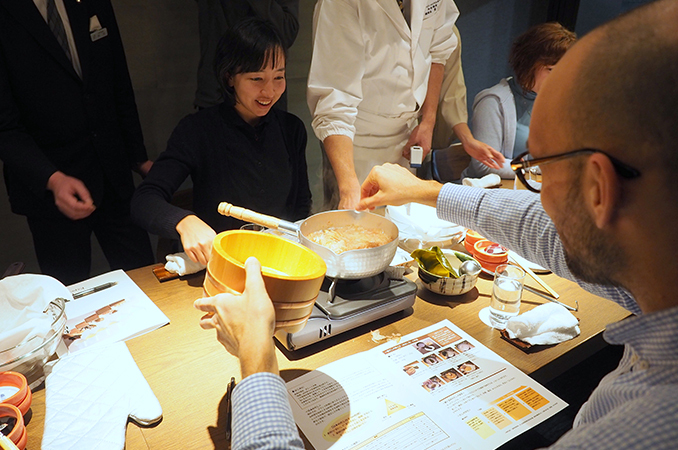 After the hands-on workshop, you will be able to enjoy a special full course meal made using the dashi everyone prepared. “Japanese Cuisine” is the traditional food culture of Japan. 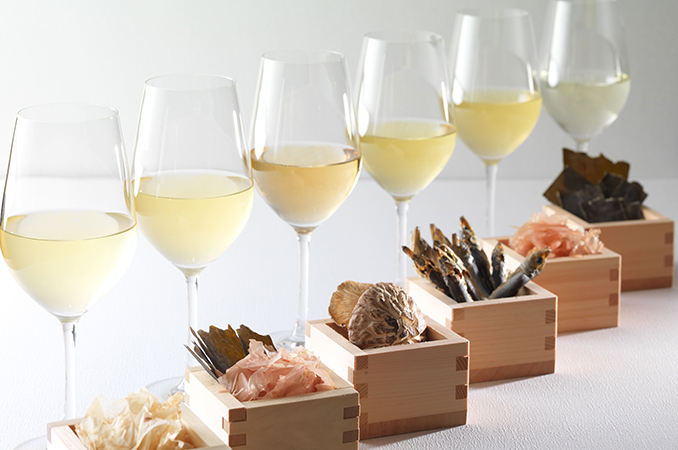 The foundation of Japanese Cuisine is dashi, which is indispensable to the everyday diet of the Japanese people. 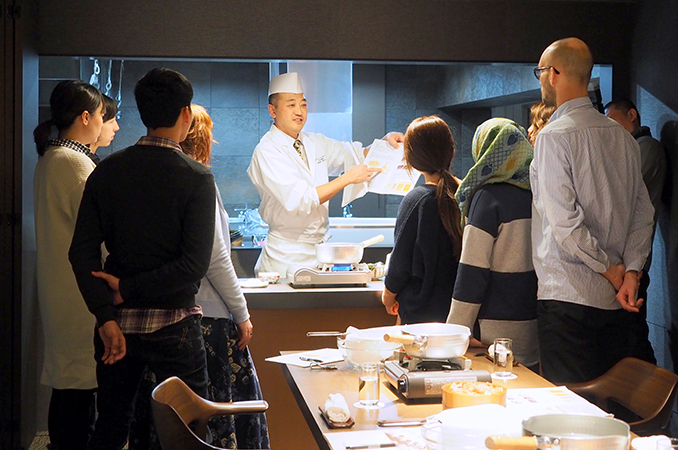 Please experience Japanese food culture through the “Authentic Dashi Preparation Workshop” held at this restaurant. 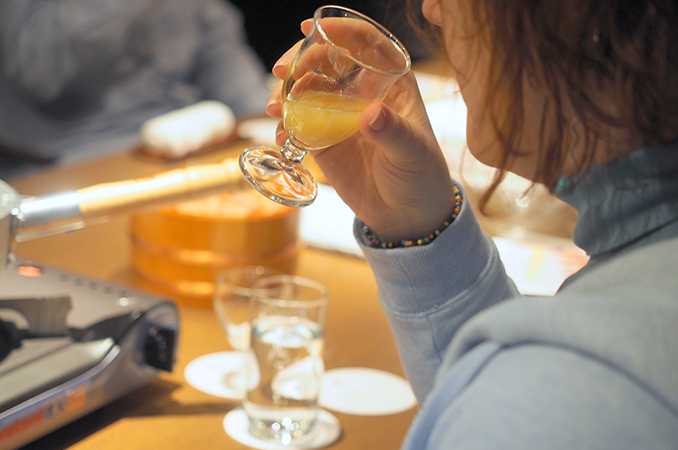 Participate in an enjoyable lecture on the various styles and characteristics of dashi. 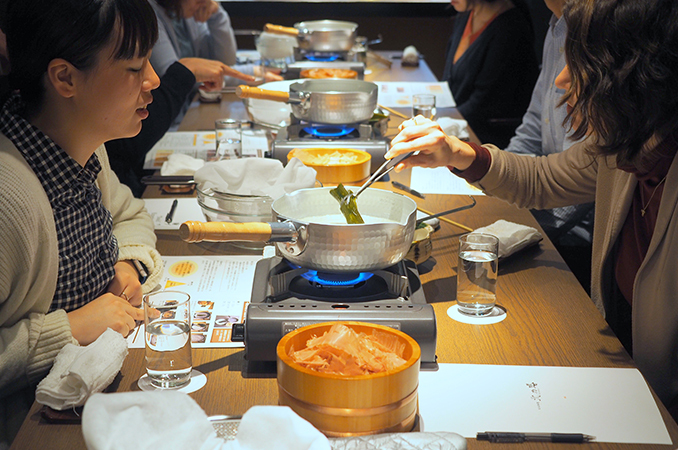 Then experience dashi through taste testing several varieties. ●After the dashi has been made, the meal will be prepared. During that time, please relax outside of the event venue. ●Time to eat! (approximately 1 hour). 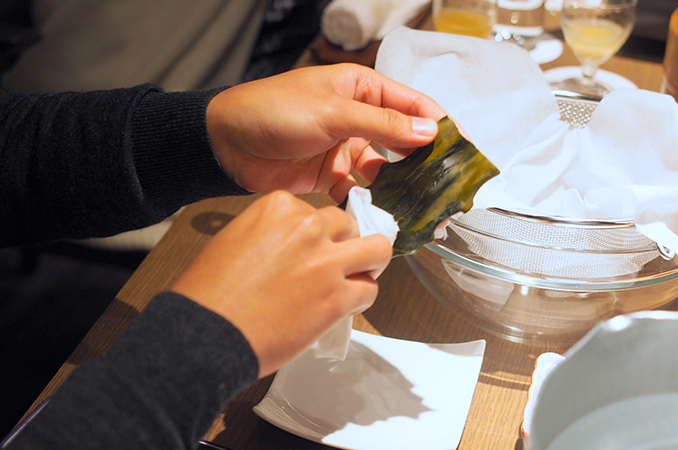 Enjoy a platter of traditional Japanese dishes made using the dashi that everyone prepared during the workshop. ・Cancelations 2 to 7 days before the workshop will incur a cancellation fee of 20% of the participation price. ・You will be charged 60% of the participation price if you cancel the day before the workshop. ・If you cancel the day of the workshop, you will be charged for the full cost of the participation price. Note1. If you are late due to your own circumstances, you will have less time to participate. 3. There are no discounts for children. 4. The price does not include drinks. 5. If there are any foods you can not eat for health reasons, please let us know before the event. After receiving your reservation or inquiry, we will contact you via email ( though there are cases when we will contact you by phone or FAX). We will contact you regarding the price, how to pay, and other details.